The King' s Speech may have dominated this year's Oscar nominations, but, for head teacher Martin Stephen, the story of King George VI' s journey to overcome a debilitating stammer is an all too familiar story. 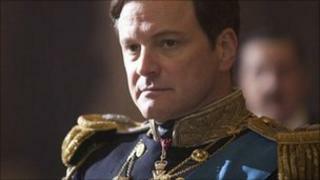 Mr Stephen described seeing the Colin Firth movie for the first time as "exquisite agony" because he too had to conquer a stammer. This threatened to wreck Mr Stephen's dreams of becoming a teacher in 1970 when he applied to take a diploma of education course at Leeds University. He was turned away and warned he would reduce pupils to "uncontrollable laughter" because of his stammer. In the film, George VI was helped by Australian speech therapist Lionel Logue. Mr Stephen's parents took similar action when they sent him to several speech therapists none of whom had ever stammered and had no concept of dealing with his speech difficulty, he said. "I was taken to a string of speech therapists who were absolutely hopeless," Mr Stephen said. "I remembered one particular lady who thought that spending a huge amount of time in the sandpit would somehow help my stammer when I was about eight." Mr Stephen struggled with a stammer at an early age and was eventually diagnosed with an "incurable speech defect" at 13. "My earliest memory is being defined by my stammer because when you have a stammer, it affects everything you do all the time, it never leaves you," he told BBC World Service's Outlook programme. "So the whole world is coloured by this thing." His parents eventually paid an Old Etonian named Burgess, who came up with the Burgess System of Speech, to help overcome his stammer. "The Burgess system of speech was extremely interesting because a lot of people with stammers have trouble with certain vowels or consonant sounds," he explained. "What he realised was that, as featured in the film, if you have a stammer you can sing and this is alright because it has a regular rhythm. "So Burgess came up with the idea to teach speaking to a regular rhythm." Although Mr Stephen was helped by the Burgess system, the headmaster at St Paul's Boys School in Barnes said it didn't "cure" him. "It let me get by a bit easier," he said. "I actively had to stop managing my stammer myself about 15 years ago by putting it into passive mode rather than active mode because I don't think any stammerer ever loses the fear. "It's all in the mind and it comes from a sense of inadequacy." Mr Stephen has worked successfully as a headmaster for 24 years. But even now he says that he struggles to overcome his stammer. "I hope I appear a fluid, outwardly confident person," he added. "But in fact I spent most of my life a quaking wreck. "For 49% of my life I've felt totally inadequate. Its only the other 51%that has kept me going by saying: 'Well I might as well have a go at it'."